Her previous ’eminent domain’ exhibitions, based on the abandoned mining town of Centralia in Pennsylvania USA, referenced the reality of a desolate landscape and the forced relocation of its inhabitants to a nearby borough. Suspended, grounded and hovering structures invoke these ghostly inhabitants, confronting the viewer with a wasteland, suggesting a vast and fragile future or past. These hypothetical architectural structures act as sentinels, observing at a distance, travelling perhaps to another place, appearing conspicuous at times or camouflaged by elaborate patterning. ‘Hiraeth’ is a welsh word that describes the pain of loving a place, the pain wrought by distance, a yearning for a home you cannot return to or no longer exists – or perhaps never was. The work draws on memories of Lawler’s childhood home, which was surrounded by old trees, tall and imposing but simultaneously safe and protective. Well-trodden footpaths led the way to fields beyond, dotted with cherry and beech coppices, where the artist regularly lost herself in an immersive fantasy world. She left this home many years ago, but its early impressions are deeply rooted in her art-making. Her interest in abandoned places echoes the loss and longing to reconnect with her formative years growing up in this rural landscape. Her previous eminent domain exhibitions, based on the abandoned mining town of Centralia in Pennsylvania, referenced the reality of a desolate landscape and the forced relocation of its inhabitants to a nearby borough. Suspended, grounded and hovering structures invoke these ghostly inhabitants, confronting the viewer with a wasteland, suggesting a vast and fragile future or past. These hypothetical architectural structures act as sentinels, observing at a distance, travelling perhaps to another place, appearing conspicuous at times or camouflaged by elaborate patterning. Lawler’s new work infuses the idea of relocation and transformation through different states of being. The work incorporates the platform as an entity which is at times grounded, moving, suspended, tethered, hovering and at other times standing apart from the surrounding landscape. These platforms act as after-images, recalling the ritual of the Tibetan sky burial, where the placement of the body on a platform high in the Himalayas, cleaved of life, represents the movement of the body/spirit from one state to another. I first came across the town of Centralia in Pennsylvania upon reading Bill Brysons book ‘A Walk in the Woods’ where I immediately felt drawn to his vivid description of this abandoned place. In my minds eye I imagined an area devastated by environmental disaster strangely preserved within the aftermath of its abandonment. Centralia began burning deep under its foundations in the 1960s when a vein of coal was accidentally set on fire. This vein burned intensely, so much so that the town began to form sinkholes and poured out toxic gases. Centralia was declared unsafe in the 1980s and the residents were relocated to another area. Centralia is now a floor plan of empty overgrown streets and remnants of buildings long removed. Its emptiness only adds to its strangeness and among its streets the memories of another time permeate with the smell of burnt earth. In my work I create structures which hover motionless and insistently above these wastelands, anxiously scrutinising the existing conditions for the possibilities of survival. I traveled to Centralia in March 2014 and using this research developed a new body of work based on abandoned places where economic and environmental factors have forced inhabitants to relocate. ’eminent domain’, my first solo exhibition with the Molesworth Gallery, references the reality of this mining landscape and employs fictional notions of escape and adaptation through the use of hypothesised architectural structures. These fabrications assume an autonomous vitality, investing the atmosphere with a cosmic foreboding. This desolate landscape once destroyed by mining now lies in silence, sunlight blocked by smoke filled fissures, roads vanish and crack under pressure, trees stand deadly still; the ordered and composed versus the shapeless, unexpected and unstable. Lawler was born in Kildare in 1977 and currently lives in Dublin. She received a BA in Fine Art from the National College of Art and Design, Dublin, in 2000. She has won numerous awards including the Hennessy Craig Award, RHA Gallery Annual exhibition in 2007, the Whytes Award, RHA Gallagher Gallery in 2007 and the overall winner of the Open Selection Exhibition Award at the Eigse Arts Festival in 2009. Other awards include a Kildare Arts Services Award 2015/2013/2011/2009, an Arts Council Bursary Award 2009, and Culture Ireland Award 2011/2017/2018. She was shortlisted for the Beers Lambert Contemporary, Thames and Hudson publication, 100 Painters of Tomorrow in 2013, the Celeste International Art Prize in 2012 and a Merit prize from the Golden Fleece Award in 2013. She has exhibited extensively throughout Ireland and abroad including solo shows at The Molesworth Gallery, Dublin (2016), Pallas Projects, Ireland (2015), Galway Arts Centre, Ireland (2014), the Fenderesky Gallery, Northern Ireland (2007/2010),The Dock, Ireland (2009) and Draiocht Arts Centre, Ireland (2007). Group shows include, Difference Engine Altern_nator HDLU Centre for the Association of Artists, Zagreb, (2018), House Taken Over curated by Hickey + Hickey, The Sonorities Festival, Belfast, (2018). Wavelength, The Molesworth Gallery, Dublin (2015), MAD Art Fair Madrid, curated by Jim Ricks (2014), Lacuna , Taylor Gallery, curated by David Quinn and Sabina McMahon (2014), Difference Engine, Limerick City Gallery (2013), Black Country, Lion and Lamb Gallery, London, curated by Nancy Cogswell (2013), Difference Engine, Accumulator II, The Oriel Myrrdin Gallery, Wales (2013), Difference Engine, Accumulator, West Cork Arts Centre (2012), Pallas Periodical Review, Pallas Projects (2011), Systems Beyond Certainty, Beers Lambert Contemporary, London, (2011), Difference Engine, Difference Engine, Manifestation III, CSV Cultural Center, New York (2011), New Connections, Rua Red, (2011), Difference Engine, Manifestation II, The Black Mariah Gallery/Triskel Arts Centre, Cork (2010), Preponderance of the Small, Douglas Hyde Gallery, (2009) and No Soul For Sale:A Festival for Independents, X-Initiative New York City, (2009). Jamming is a form of error-detection. 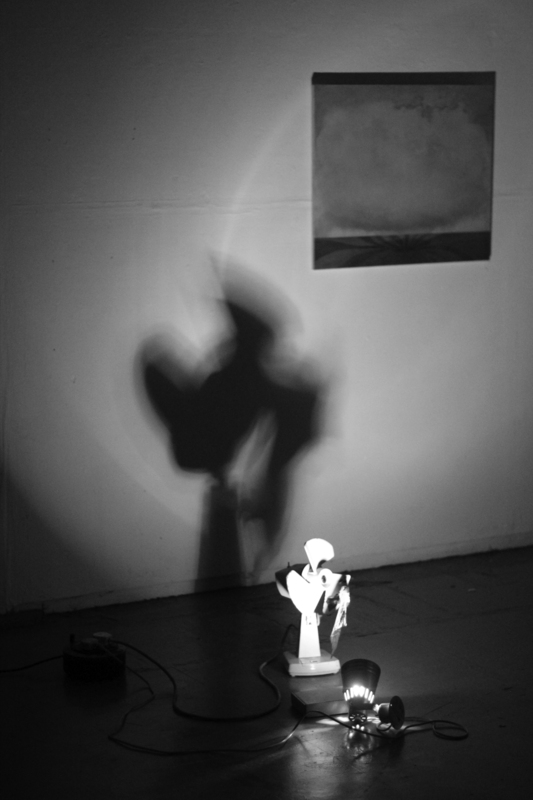 Gillian Lawler and Mark Cullen, No Easy Flight of Bird Remains, West Cork Arts Centre, 2011.